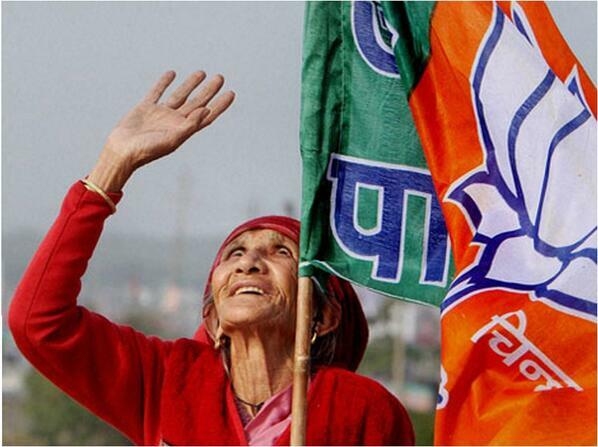 By Aashish in Indian Politics, Politics on February 27, 2014 . While the earnest nature of AAP’s rise is commendable, its supporters and well-wishers must understand that a country doesn’t run on good intentions alone. The chaotic 50 days of AAP’s stab at governance in Delhi, were a great example of how a vision-less contrarian party with activists running the show end up providing a guerrilla form of hit-and-run governance, which is not only unsustainable but also a recipe for disaster in a country the size of India. But there is a long way to go before AAP can represent the aspirational class that it believes it presently does. It must work hard to establish and grow its fundamental grassroots level structure, expand its vision – making it broader than just a ‘Ram Baan’ medicine of Lokpal that it believes will solve all our problems, and most importantly find leaders from within its new supporters, and distance itself from the current crop of failed journalists, naxal-backed social activists and rabble-rousing mob leaders – suddenly tasked with administrating a constituency of millions of people. All this while acquitting itself of any subterfuge, be it its curious relationship with the left-liberal US based Ford Foundation or its stone cold silence on corruption charges against the Gandhi family. PB Mehta argued in his recent article that the existence of Plutocracy and corruption isn’t the only problem ailing India (read the article). There is a fear of governance paralysis, a clear weariness to agitation, and a growing fear of joblessness and economic doom. Taking on Plutocracy is a marathon, not a sprint, AAP’s dramatic fracas week after week has only exacerbated this fear of constant agitation and government paralysis. AAP’s time will come and when it does, it may even lead to the transformation of our country to the utopian society I discussed earlier – one that is removed from the influence of crony capitalists, fixers, middlemen, ridding us of the Plutocratic society that our current democracy has come to represent. But that day is still in the pipeline, the idea in its infancy and will not be ready in the next 50 days.